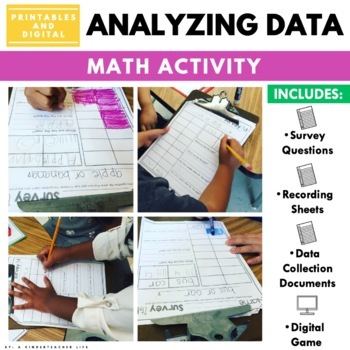 For higher order thinking, students are asked to represent the data a different way. 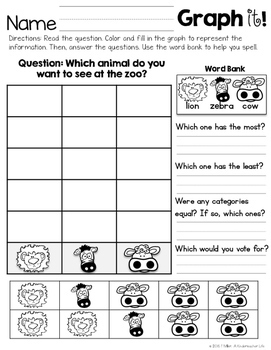 To help students to answer the questions and be more independent, a picture word bank is provided. 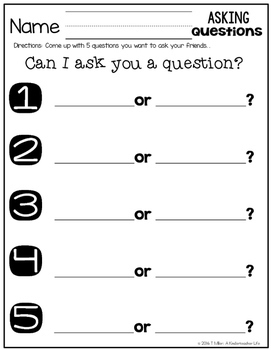 These worksheets can be use for a math center, morning work, sub work. You can create a question, have students create a questions or you can use the questions in the packet. 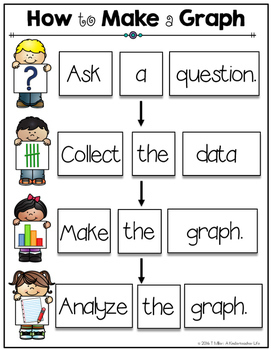 Students go around the room and ask their question to their classmates and record and analyze the data. Please ask a question and/or preview the packet before purchasing.